Kawonk Disk Free Windows utility showing free space on drives, folder charts, SMART info, more! Windows 2000 Alternate Start-up screen NEW! Use your internet connection to set your PC to the correct time. Tridraw32 is a quick thingy to draw a Sierpinski Triangle (or Gasket)., Example of recursion. Winboot is a DOS-based applet. Stick it in your AUTOEXEC.BAT to display "diagnostic messages" (such as "Setup is quietly destroying valuable data") Several different messages possible. when booting your Windows 9x machine. Harmless. Customize to your Windows version! accepts /95 /98 and /SE switches on the command line. Running Windows 2000 but feel left behind by XP? don't worry, make it look like you're running .Net Server, which doesn't even exist yet! . Simply download this, unzip it, and copy it in safe mode to \WINNT\SYSTEM32. 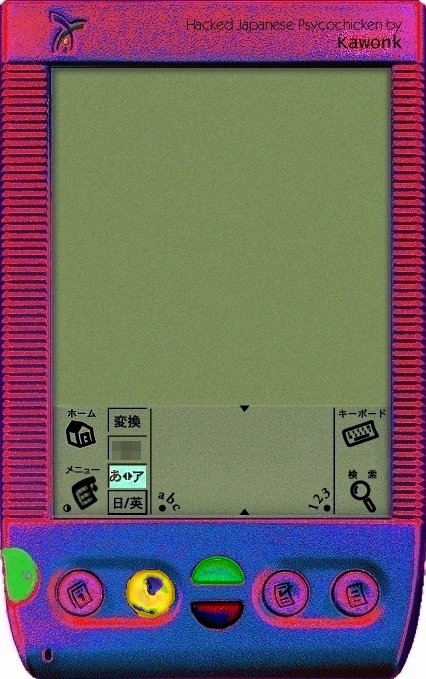 A modified skin for the PalmOS emulator - keeps you awake. Just edit your .skin file to point to it.